Our neighbour, Alberta, has well-developed early childhood policy. In fact, The Government of Alberta has made the strategic decision to focus specifically on early childhood development. The 2011 report from the Chief Medical Officer of Health: Let’s Talk about the Early Years. The Government of Alberta is comfortable with an economic argument when it comes to early childhood, and it seems to be working. Alberta knows that when children thrive, they become adults who contribute to the collective well-being of the entire province. 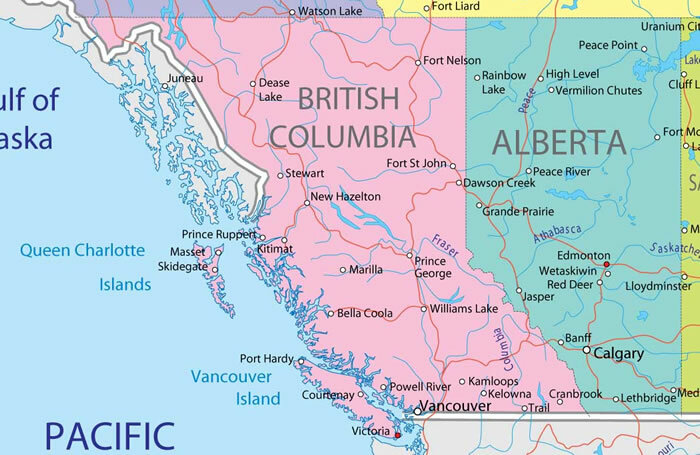 Perhaps it’s time British Columbia embraced an economic argument as a way to engage all sectors (including business & government decision-makers) in creating population-level change for children, youth & families? the health and well-being of all Albertans. Not only will it make a difference to individuals and communities, it will position our province for greater economic growth and leadership in a knowledge based society, now and in the future. As Albertans, we take great pride in ingenuity. We have established an international reputation for innovation in areas as diverse as biomedical research, nanotechnology and industrial processes. We also take pride in our communities and understand that “we’re all in this together!” Imagine if we could harness both our ingenuity and our community spirit to drive a whole new commitment to early childhood development in Alberta. Recognition of the early childhood years is growing in Alberta. The Premier’s Council for Economic Strategy, for one, has linked the importance of early childhood experiences to economic growth and development. A new Early Learning Branch of Alberta Education is making the connection between school readiness and what happens in the first years of life. The Norlien Foundation’s Early Brain and Biologic Development Symposium is bringing together decision-makers and researchers to find ways to improve outcomes for young children. The Early Childhood Development Mapping Initiative is highlighting the factors that may be affecting early child development in Alberta. At the same time, the Alberta Centre for Child Family and Community Research is creating new knowledge to support greater investment in this pivotal time of life. We are currently on the leading edge of a revolution in the science of early childhood development. A growing body of evidence from cell biology, neuroscience and birth cohort studies has greatly expanded what we know about the early years and offers opportunities we did not appreciate even as recently as a decade ago. This evolving science has given us a much better understanding of human brain development and the interconnectedness between a child’s environment and his experiences as a result of that environment, from conception onwards. It is showing us the strong connection between the early childhood years and a person’s life-long health, well-being, learning and behavior. We are learning that what happens in a child’s early years has a long reach forward. Simply put, the quality of a child’s earliest environment and exposure to positive experiences at the right stages of development has a strong influence on the course of their life path. Ensuring the right conditions in the early years is more effective and far less costly than correcting problems later. In Canada, fewer than five per cent of children at every socio-economic level are born with known limits to their development. By school age, more than 25 per cent of children are behind where they should be in their physical, social, language or cognitive development. In other words almost all children are born with a strong potential to grow, learn and thrive but by school age many, approximately one in five, have lost ground. Early intervention is cost effective; in other words, we can pay now or we can pay more later. The return for investing in the early years of our children is significant. Healthy children are more likely to become hard-working, creative adults who contribute to a strong economy and the quality of our communities and our society overall. Research shows that intervening earlier rather than later increases the positive impact on brain development and life course outcomes. Economic analyses suggest that a dollar invested in early childhood is 3 times more cost effective than one invested later. All governments in Canada, including Alberta, make significant investments in their children; however, traditionally more has been focused on children after they enter the school system than before and our investments are primarily targeted to children deemed to be from high-risk families. The public conversation about early childhood development often focuses solely on family responsibilities without factoring in our collective responsibility. More women experience healthy pregnancies. Measure: Improved measures of infant and child health. More children are realizing their developmental potential in the first years of life. Measure: Reduced per cent of children in Alberta who are reported to be experiencing great difficulty in one or more of the areas of development. is developing. Measure: Increased percent of parents who report using effective parenting practices to support their child’s development. Communities are working together to increase access to the right services, at the right time to meet the needs of families. Measure: Increased percent of parents who understand where and how to access Early Childhood Development (ECD) information and supports.